We get quite a lot of requests for wedding Entanglement and Subspace plugs, and have decided to add a couple of our favourites to our range (and my plug box). We'll start off with these Entanglement Cool Crystal plugs (pictured top). These plugs have sparks of flashy blue and teal, pearly blue backs, and have a hint of yellow when backlit. And these Entanglement Earth Crystal plugs (pictured bottom) have no tint when backlit, have colourful sparks of rainbow, with pearly white backs. 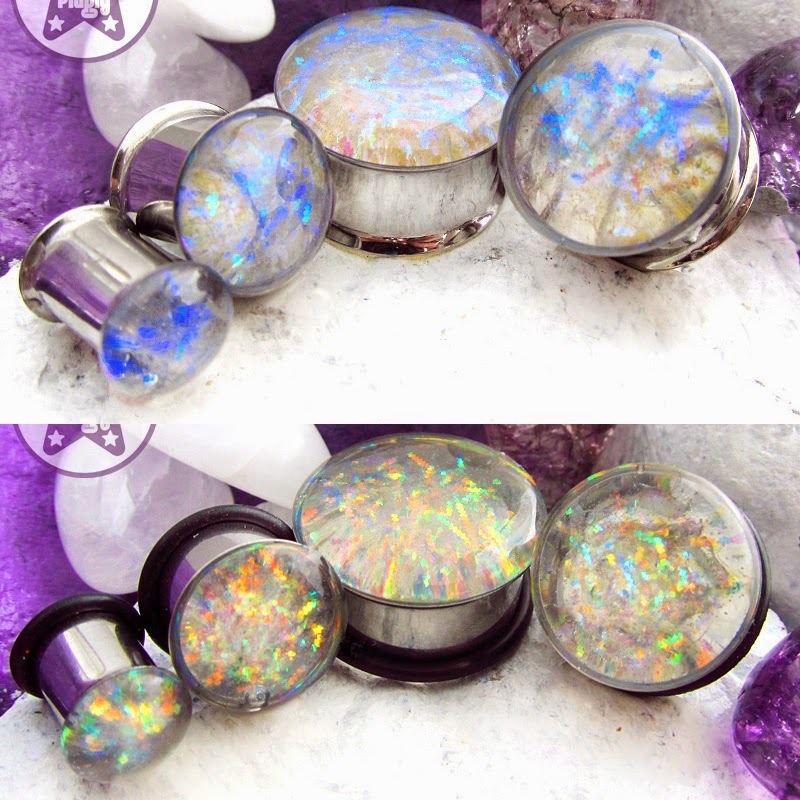 Both of these plugs are in stock in sizes 8mm (0g) up to 20mm (>3/4"), and available for pre-order if you want them with different flares, or up to 24mm (<1") -- please see this listing for the Cool Crystal plugs and this listing for the Earth Crystal plugs.